Having been founded in 2013, Yggdrasil Gaming is a relatively new casino software developer. However, with industry veteran Fredrik Elmqvist at the helm the company has been expanding and looking forward since its very first day. The experienced yet innovative team has adapted well to the rapid changes in a tough industry, and as more operators have adopted it, its reach continues to grow. Now it is expanding even more. The initial focus of the brand was on slots and lottery games, but they are now looking to table games. The company’s target market is the more sophisticated end of the player spectrum; gamblers who expect the best games and the latest technology. Short loading times on all devices and clever Wallet Adaptor software to integrate payments across all platforms make the developer a favourite among operators and players. Yggdrasil’s business model has also always involved building their own software and using their own server. The server is integrated with operating systems at the various casinos that it supplies, and revenue is split between the server and each site. The new range of table games is run along the same lines, and plans to release Roulette and Baccarat after the initial Blackjack games are in the works. Based in Malta, the brand’s games are very compatible with others so they can easily be incorporated into many casinos. In addition, by focusing on HTML5-based games, the developer has created software that is compatible with every device and operating system. Any player who is interested, will be able to enjoy Yggdrasil’s games. And once you’ve learned a little more about them, we think you’ll be among that group. What Makes Yggdrasil’s Table Games Special? The brand is known for sharp graphics and smooth functionality, and that is definitely seen in their table games. However, the company’s reputation for immersive visuals and pushing the technological envelope in general is being taken to new heights with its table games. Traditionally, non-live table games at online casinos have lacked the appeal of their real-life counterparts. Many believe that this can be directly attributed to the fact that there are no social interactions with dealers or other players. While there is definitely more interaction with live dealer games, these come with technical problems of their own and multiplayer games are not always possible. The table games that Yggdrasil is rolling out aims to bring the best elements of both Random Number Generation and live dealer games together. A fully immersive, three-dimensional experience will be created using motion capture technology to create life-like movements in the simulated dealers. This is made possible by their own in-house software called REDUXTM. Various characters are being developed, and each of them will come with their own facial expressions, hand movements and unique interactions with players. In addition to incredible visuals and dealer interactions, REDUXTM allows the table games to feature several adaptable functions, so that every casino can make the games feel like their own. Operators will be able to dress the games in the themes that tie in with their own identities to make them more memorable. There will also be rewarding side bets, making the games even more exciting to play. The other exciting aspect of the new table games is how much they allow players to interact with other gamblers. You’ll be able to chat with other players just as you can when playing in a land-based casino, which will make the games feel far more authentic. In addition, you’ll be able to engage with more characters than might be possible even in a live dealer casino set up and each Yggdrasil-supplied table game will have its own look and feel depending on what the casino operators have chosen to do. The Scandinavian feel that all of the expertise that this brand’s games create is continued in its Blackjack games, and the smooth functionality is sure to impress players. 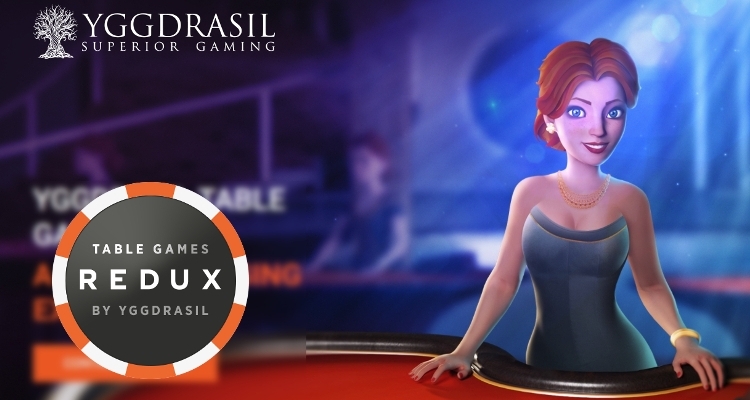 Striking a good balance between the special features that are possible in Random Number Generated games and the dealer interaction in live games, Yggdrasil’s table games are sure to thrill.